RANGER-Vintage Foil Sheets. 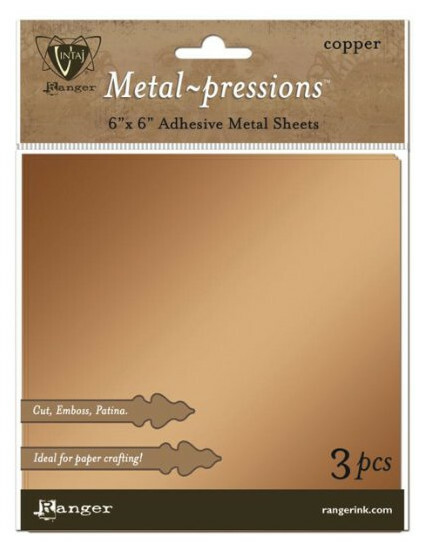 Vintage Metal-pressions Adhesive Metal Sheets are an ideal surface to decorate and stick to cards scrapbook pages home decor and more. Transform your projects with metal! This crafting foil is the ideal weight to work perfectly with paper-crafting dies and create metal embellishments. This package contains three sheets of 6x6 inch silver metal sheets. Imported.